People looking to recover from addiction have many options available to them. One option is Narcotics Anonymous. NA meetings follow a 12-step format and were originally meant only for those looking to recover from an addiction to drugs. Now, they are open to anyone battling an addiction. There are local NA meetings in pretty much every city and town. Online NA meetings are also available for those without a support group near them or who are unable to leave their homes. What is The History of NA Meetings in the US? What are the Types of NA Meetings? How to Join NA Meetings? What to Expect at an NA Meeting? What are the 12 Steps of NA Meetings? What are Online NA Meetings? An NA meeting is a gathering of individuals committed to recovering from addiction. The program itself follows the 12-step format, but not all meetings are centered around these steps. The goal of NA meetings is to help people enter and remain in recovery. The only requirement the program has is that all participants have the desire to stop using. The NA meeting format can vary from meeting to meeting and group to group. However, there are certain commonalities. These meetings are always in a group format, and there is a consistent focus on coming together to help each other stay clean. Narcotics Anonymous meetings are run independently and are not affiliated with larger organizations. They are not designed to pressure attendees into specific religious or political views, and they do not work with law enforcement. NA welcomes people of any age, race, sexual identity, ability, creed, or religion. Due to inaccurate portrayals in the media, there are a lot of misconceptions about what is an NA meeting. These can cause addicts to avoid meetings that have the potential to change their lives. The following are some of the most damaging myths about what an NA meeting is. NA is only for those addicted to hard substances such as crack and heroin. But according to a survey of NA members, alcohol and cannabis are the most common habitually used substances. Everybody has to stand up and give a speech. While meetings do make time for attendees to speak, there is no requirement that anyone has to stand up and make a speech at any point in their journey with the program. Narcotics Anonymous is only for Christians. Depending on the meeting, there may be direct references to God or more general references to a higher power. However, these references are kept general in most NA meetings, allowing people of any religion, or no religion, to benefit from attendance. While Church-led programs will differ, most NA meetings do not utilize religious texts. Meetings are clinical in nature. On television and in movies, these meetings are always led by healthcare professionals. In real life, NA meetings, according to their literature, must remain unprofessional. Meeting leaders are just regular people who are in recovery themselves. It is not also not necessary whether an individual is enrolled in the rehab center or not. It is vital that those who need help understand that these are just misconceptions and not a reason to avoid attending meetings. Narcotics Anonymous is often thought of as the lesser-known sibling of Alcoholics Anonymous. In truth, it is more like AA’s child. Alcoholics Anonymous got its start in the 1940s, and Narcotics Anonymous adapted its format for use with those addicted to drugs in the early 1950s. The first meetings were held in Los Angeles, California in July of 1953. From there, they began popping up in larger cities, such as New York and Chicago. Eventually, they spread across the United States and the globe. By the 1980s, NA was present in over 12 countries and had nearly 3,000 meetings worldwide. The first meetings were strictly centered around the 12-step format, but they quickly changed and grew as the members observed what worked and what didn’t. Soon, meetings diversified to meet specific needs, such as female addicts and addicts who speak different languages. As NA achieved greater success, health professionals took notice and began adapting its format for clinical treatment of drug addiction. As of 2013, there was an average of 63,000 NA meetings held every week across 127 countries, a large portion of these being within the United States. The Narcotics Anonymous meeting format varies based on the type of meeting attended. It is important that anyone considering joining an NA meeting knows what types are available to them as this gives them the chance to find the best possible fit. Additionally, not all meetings are open to all people. Here are some of the types of NA meetings one might encounter. Open NA meetings are those that allow anyone to attend. At these meetings, family, loved ones, probation officers, and even just concerned members of the community are welcome to sit in on the gathering. However, only members of the NA fellowship are allowed to actively participate. Open meetings are offered in hopes that outsiders can gain a better understanding of addiction and that those struggling to admit addiction can find the courage to seek help. Closed Narcotics Anonymous meetings are restricted to those who actively identify as addicts or who are edging closer to admitting they have a problem. Beyond this, there are no restrictions on attendance. Closed meetings are meant to give the attendees greater comfort and security, allowing them to speak openly without fear of judgment or repercussions from those in attendance. Specific group meetings are generally closed meetings that are further restricted based on demographics. For example, there may be women-only NA meetings so that females in recovery can speak about issues they might not want to address in a room with men. There are also LGTBQ meetings that address how stigma regarding sexuality can impact addiction, meetings that center on specific religions, and those designed for newcomers. Topic/discussion NA meetings can be either open or closed. They may also be further restricted based on demographics. At these meetings, specific topics are selected and spoken about, opening up a discussion that all attendees can participate in. Topics are selected based on their relevance to those in recovery but rarely center around substance abuse itself. Like topic/discussion meetings, speaker meetings can be open or closed and even restricted based on demographics. At these meetings, a knowledgeable speaker is invited to give a talk, take questions, and open up discussion with the attendees. These speakers can be those successful in recovery, professionals, motivational speakers, and more. The goal is to help inspire the attendees and keep them on the road of recovery. The Big Book is a text used in both AA and NA meetings. Meetings that are centered around Big Book study focus on reading and discussing the text. In general, it is best for attendees to have their copy, and these are often given out for free to those new to NA. However, Big Book studies also have copies on hand for people to use. Meetings that are partly focused on the 12-step study are usually divided based on which step or steps the gathering will focus on. In areas with a larger attendance, the meeting may focus on a single step. Those with smaller attendance may group the steps in sets of three. Because some of the 12 steps are religious or spiritual, 12-step meetings may also be divided based on religion or lack thereof to best tailor the steps to the needs of those attending. The first step in joining an NA meeting is finding one suited to the needs and location of the addict. In general, it is advised that those new to NA look for an open meeting to observe and then actively attend a closed meeting specifically meant for newcomers. This will allow them to learn the ropes faster and become part of the community. There is no need to register in advance; attendees can simply find a Narcotics Anonymous meeting and show up. New members should try to arrive before the start of the meeting as this is a time when people are socializing, giving newcomers the chance to start making connections and feel better about their attendance. There will usually be literature available at this time as well, and it is a good idea to take advantage of an early arrival to read through these. If a member arrives late, they are still welcome to enter the meeting and participate. However, it is expected that they will enter quietly and not disrupt the proceedings. While others are speaking, it is expected that attendees will not participate in side conversations, answer their phones, or otherwise be disruptive. Members are asked to be open but considerate with their tone and language. Throughout the meeting, it is expected that all attendees will only acknowledge the feelings and struggles of others in a validating manner. When speaking, they are to take a “we” approach so that now one feels singled out or preached to. At the conclusion of the gathering, it is expected that members will help clean up by disposing of their trash and taking their personal items with them, as most meetings are held in borrowed spaces. 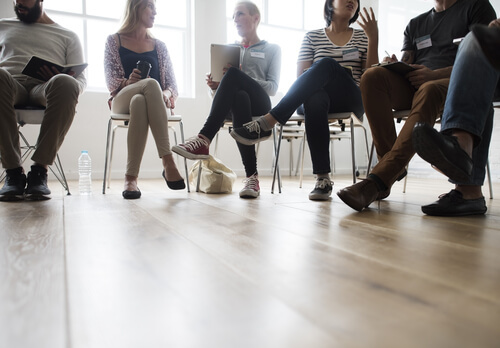 As the NA meeting format varies, what one should expect at a Narcotics Anonymous gathering will depend on the exact meeting being attended. How long do NA meetings last? In general, they last between 60 and 90 minutes. There is no attendance monitor present, so there is no sign-in sheet, and no one prevents attendees from leaving the gathering. The meeting leader will usually start the meeting by observing a moment of silence, moving from there into readings, announcements, and discussion. Everyone is allowed to share, but no one is forced to. Attendees should expect to come to a meeting to find people in all stages of recovery. There will be those seasoned veterans who have been clean for years, those who are still deep in the biggest struggles of recovery, and those who are still actively using but want to stop. However, it should be noted that Narcotics Anonymous is not a substitute for a medically supervised detox. Those at risk of being injured or killed by withdrawals should still seek professional care. After meetings are over, many attendees will stick around to talk or even head to another location to hang out. For those just entering recovery, this can be intimidating. Some even worry that being around people who have used could lead to them backsliding. However, these groups are centered around addicts helping other addicts, and it is advisable for those just getting started to socialize and develop bonds with those in the same situation. The focus is on the common welfare of all NA members, with the understanding that personal recovery depends on the unity of the group. Those who lead meetings are servants who do not govern and are subject to a higher power. Participation is contingent on a desire to stop using. All Narcotics Anonymous groups are granted autonomy in their decisions and actions as long as it does not impact the organization as a whole. The driving purpose of all NA meetings is to reach the addict who is still battling their addiction. No one is allowed to use the Narcotics Anonymous name to endorse or finance any outside entity. Every group must be self-supporting, declining outside donations. Groups are to be led by non-professionals. Boards or committees may be formed, but they must answer to the members they serve. No NA group should take a stance on outside issues, giving the organization neutrality. Groups should work to attract new members but not promote themselves in the media. Anonymity must remain central to all groups. Any group that breaks with these traditions is expected to break with Narcotics Anonymous as a whole. All NA members are expected to actively uphold these traditions as they participate with their groups. The Narcotics Anonymous organization takes its commitment to anonymity very seriously. Meetings are set up in a way meant to protect identities by never using sign-in sheets, never tracking members, and never requiring anyone to identify themselves in any way. Nothing disclosed in meetings is recorded or meant to be reported back to law enforcement, prosecutors, family, friends, or colleagues. However, the Narcotics Anonymous organization does not have control over the actions of attendees. 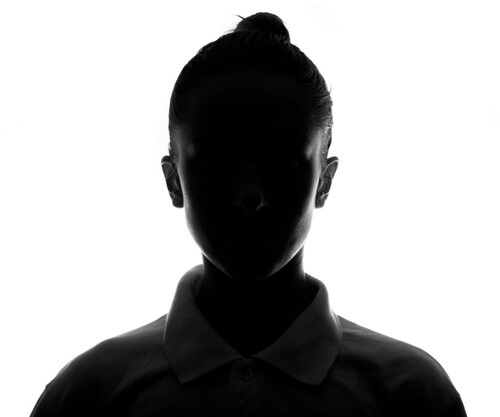 While all members are asked not to identify other members by name or in photos and should not retell their personal stories to anyone, the risk is always there. This risk is greater in open meetings, where members of the general public are welcome to attend and observe. With that said, NA has a long history of success in helping members without anyone compromising them based on what is revealed in confidence. Addicts should join NA meetings with an expectation of anonymity and a commitment to upholding it for others. Sometimes the NA meeting locator does not bring up any nearby meetings. For example, in small towns, the nearest NA meeting may be an hour’s drive away. 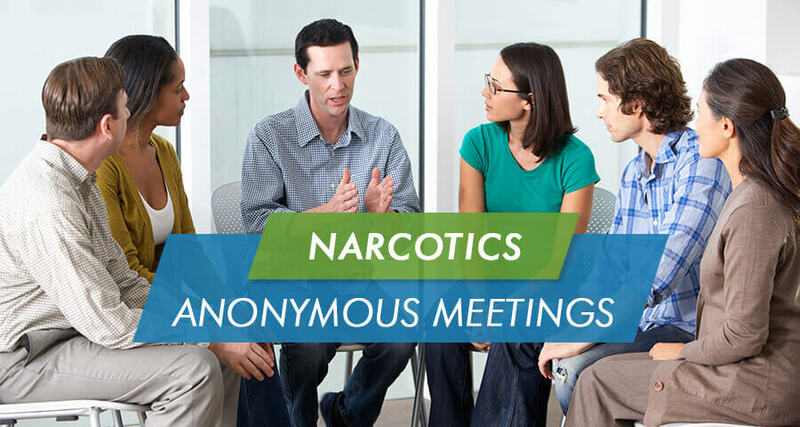 In some cases, there are meetings close by, but the Narcotics Anonymous meeting schedule does not fit their own, or meetings do not meet their specific needs. For these individuals, online NA meetings may be the best solution. These meetings are held via online chatrooms or even specialized apps. No registration is required, and most use voice chat only, making it easy for participants to remain anonymous. In addition to those struggling to find a suitable gathering near them, NA meetings online can help those who are homebound and newcomers seeking a non-intimidating way to get started. Because NA online meetings allow people to attend sessions anywhere in the world, they also make it easy for immigrants to get help tailored to their culture and language. It is important to note that online meetings are like anything else on the internet—you never know who you are talking to or if what they are saying is true. Participants should exercise some amount of caution, but not the point that it compromises their progress. Despite the long history of Narcotics Anonymous and other 12-step programs, lately, there have been doubts raised regarding how effective they are. This is despite the fact that their outcomes have been researched and successes are well documented. For example, in a study of the long-term success of both AA and NA, it was found that participants had a 55 percent greater success rate than non-participants in staying clean. That same study also showed that about 38 percent of participants remain active in their programs after two years. This is a strong indication that being part of an NA program can greatly assist addicts in remaining in recovery. Another study found that participants in 12-step programs see a 50 percent greater success rate than those who do not. Better outcomes are associated with greater involvement in 12-step programs. In other words, just attending meetings does not necessarily help people get and stay clean. Those who actively participate, read literature, and otherwise get involved have higher rates of success. An aspect that seems to boost NA success is seeking out individual treatment in addition to group therapy. This is why many recovery centers utilize 12-step programs and individual counseling. The greatest success rates are seen when NA is used as follow-up care to a residential program. In general, the more support a person has, including from family and friends, the better their NA outcome is expected to be. It should be noted that studies of the success rates of both AA and NA are limited because the organizations do not partner with researchers to perform clinical studies. This is not because they are trying to hide damaging statistics, but because they are making an effort to protect the anonymity of their members. For this same reason, Narcotics Anonymous does not track the successes and failures of its members.